Water intrusion can bring any construction project to a halt. While many forms of water damage are covered under a basic builders risk policy, water intrusion is a costly exposure that’s often excluded. When negligence or oversight at a construction site cause water damage, your builders risk client may incur unexpected expenses if not properly prepared. 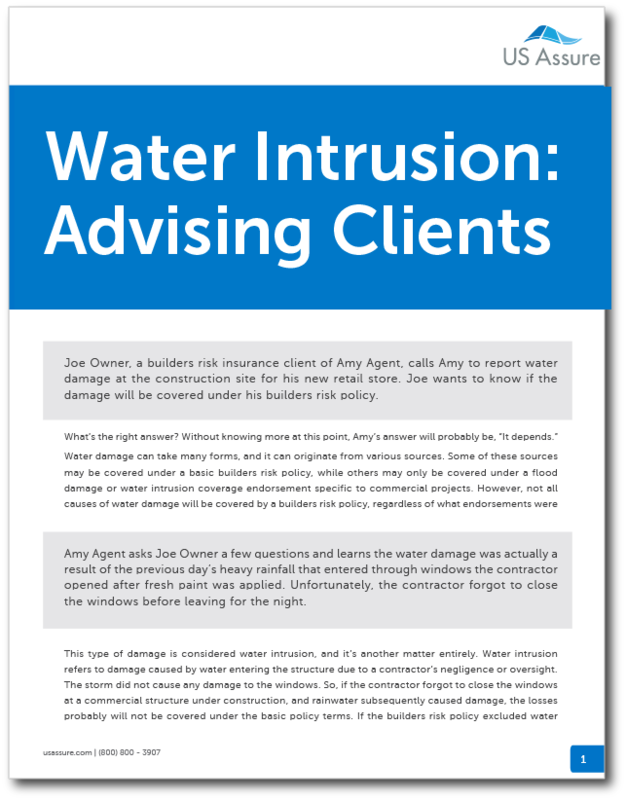 There’s no reason for your client to be taken by surprise — discuss the threat of water intrusion now and minimize out-of-pocket expenses. Become more informed on the topic when you download our free resource today.